POLYURETHANE have the highest Wear resistance, Tensile strength and Elasticity. 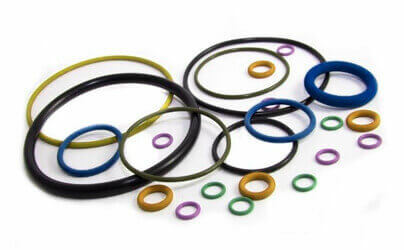 They have high volume applications in seals for hydraulic cylinders. Chemical Resistance : Ozone, Aging, Mineral Oil, Aliphatic Hydrocarbons, Water (upto 50 Degrees C).